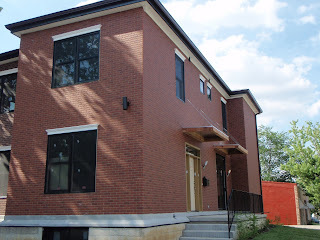 EcoUrban: Building Sustainable Solutions: Magnolia Townhomes Completed in Tower Grove East!!! Magnolia Townhomes Completed in Tower Grove East!!! The west or inside unit is under contract but we are still seeking a committed green home owner for the east or outside unit with the larger yard. Priced at $184,900 with up to 3% towards closing costs and prepaids. i wish i was in the market to buy. . .